FishMax - THE Australian Online Fishing Magazine: WIN: one of five BBQ Buddy Fish Grillers! You’ve landed a beaut, big fish and want to BBQ it to perfection. If you’ve got a BBQ Buddy Fish Griller you won’t risk ruining your catch! And if you’re one of our five lucky winners, you’ll win one for free! This you-beaut gadget is essentially a two-piece wire basket that latches together to hold your fish in place and in one piece while its cooking. BBQ Buddy Fish Griller eliminates the old issues of losing half your dinner when you try to turn the fish over, or having the fish tear when flipping it. 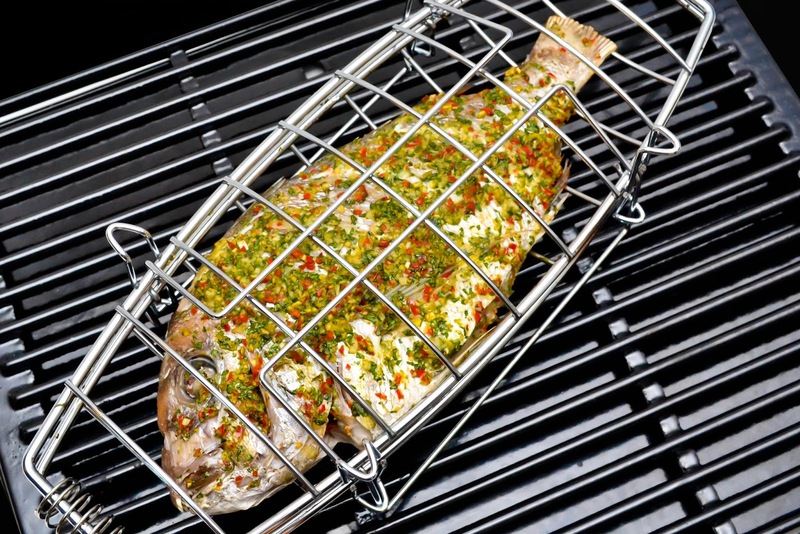 Made of a heavy duty metal, it has feet on both its top and bottom surfaces so your fish is always held above the grilling plate. 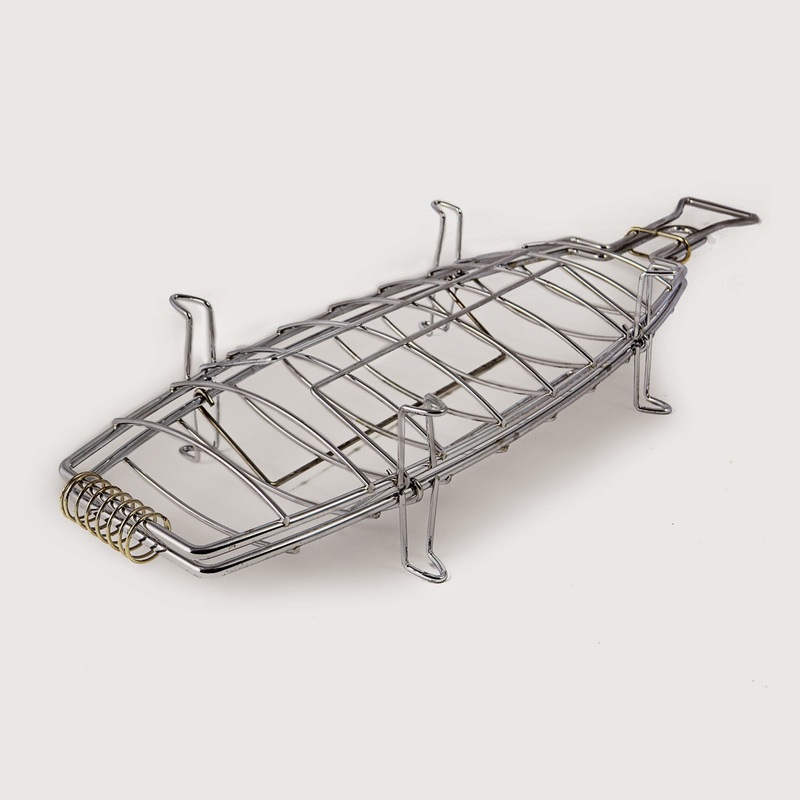 The BBQ Buddy Fish Griller is sized at 390mm x 140mm. You can put a decent sized fish in it, and it works just as well in the oven too. Clean-up’s easy – it’s dishwasher safe. At only RRP $15.95 from Bunnings, it makes a great gift idea to suggest to the kids – and it’s a smart tool to have around if you’re planning on serving a nice big fish for Christmas lunch or dinner! And best of all, we've got 5 to give away. Simply send us an email telling us which species of fish you'd like to grill with your BBQ Buddy Fish Griller to go in the draw. Comp ends Midnight EST 10 December 2014. Winners drawn at random.